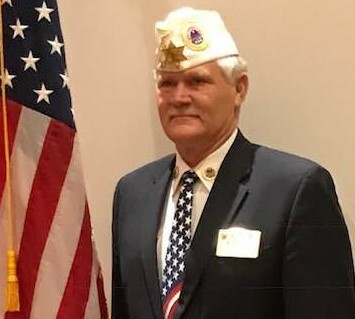 On behalf of the 18,000 members of the Florida AMVETS, it is my pleasure to welcome you to our site. Whether you are a current member or someone looking to join a first class Veterans organization, you will find the information contained herein informative and helpful in finding what you are looking for. We take great pride in being the second largest Department in the AMVETS organization but our goal is to be the largest. To that end, we are working everyday to find new members who are willing to dedicate a little time to help our nation's veterans and serve our communities. You will find us in the communities throughout the state taking veterans to medical appointments, supporting children's activities, sponsoring Junior ROTC activities, and a myriad of other activities to make our country that shining city on a hill. If you are a veteran with an honorable discharge, we thank you for your service and invite you to join us. We are "Veterans Helping Veterans" and you can help us reach our goals. If you have any questions, please fill in the "contact us" area at the bottom of the page and we will respond to your inquiry in a short time. representing the interests of 20 million veterans. AMVETS is open to and fighting for all who honorably served in the United States military, including the Reserve and Guard. With more than 250,00 members nationwide, we are veterans serving veterans. Learn the history of AMVETS and how the organization has grown and evolved over the years. Our commitment to service traces its roots back to 1944 when veteran volunteers first began helping veterans of World War II obtain the benefits promised them by the federal government. As the number of returning veterans swelled into the millions, it was evident that some sort of nationally organized assistance for them would be needed.